Trek the Web with Walk2Web ~ Android Forever! Until totally immersive virtual reality arrives (within 20 years or so), this might be the most intriguing way to traverse the links from web site to web site. At least it is at the moment. 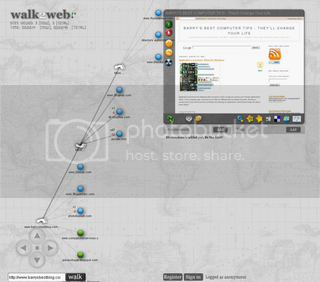 Walk2Web lets you take figurative steps from here to wherever the links might take you.